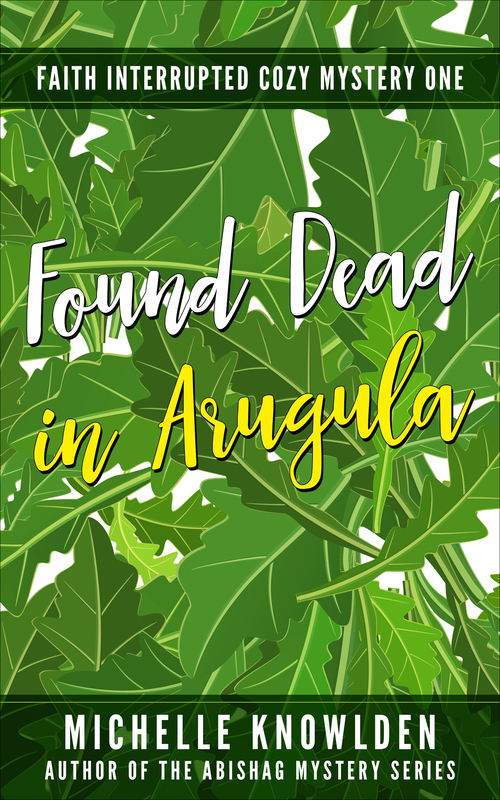 Found Dead in Arugula is live. First in a series about a Quaker gleaner turned private detective who lives in a garden town near Los Angeles. It’s designed to be short enough to eat over lunch and is priced accordingly. A corpse in the vegetable garden. A false arrest. How can Faith Lisstorm clear her name when few people in her life listen to her? When she finds the body of a neighbor in her arugula, the police arrest Faith for murder. Her protests fall on deaf ears, as usual. Only two people have ever listened without interrupting her. One of them is now dead. The other is her lost love. Help from an unexpected source, and the bane of her life—interruptions!—prove that one can expect blooms in compost. Yes, there’s a second chance romance in this series. No fears, the stories are Mysteries! Mostly. ONLY 99 cents. Looking for a cozy mystery to read at lunchtime? Lost love, tuna melt, murder. Find it at https://www.amazon.com/dp/B07B52B1DV/. For those of you who do indie publishing, I’m recommending a tool. First time I’ve done this in decades. A good friend advised that I try Vellum for formatting. It has certainly streamlined my process. I’ve added my notes about it below. As an engineer, I’m leery of all software tools. This one is a winner. I know it only works on Mac computers, but why are you on anything else? If you want to see a book that used Vellum, check out Found Dead in Arugula. Worth it at only 99 cents. You can read it over lunch as it’s a novelette. Or you can gaze admiringly page by page and section by section for hours. You can buy Vellum’s formatting tool ebook only version for $199 and later upgrade with the print version for $99. Since I knew I’d need it, I decided to save the $50 and get both now for $250. As Arugula is my tenth non-collaborative kindle book, I could justify amortizing the Vellum cost over time. 1. Cuts formatting time considerably. 2. Nice variety of styles. 3. Modular design for plug n play–copyright, dedication, title, Acknowledgements, about the author pages can be added after your manuscript is uploaded. 4. Amazon Author Page, Facebook, and Twitter links can be added easily. 5. Can end book with an “also by author” page with up to three book links. 6. Can do formatting with Nook and iBooks too. Others available …. 7. First favorite: it generates table of contents automatically. 8. Second favorite: how snazzy the book looks. 9. You can use the demo copy to take the tutorial and format your document. You have to purchase the software ($199 for ebooks, $250 for ebooks and print) to export the manuscript for upload to a publisher’s platform, ie, Kindle, iBooks, etc. 11. Document must be uploaded to Vellum in MS Word. Try the demo. Consider the cost. I did and am happy with my decision. This entry was posted in Engineering, Food, FORAGING, Uncategorized, WRITING and tagged Faith Interrupted, formatting tools, Found Dead in Arugula, mystery, tuna melts, Vellum. Bookmark the permalink. I got the demo of Vellum at the RWA conference and I think I am sold. It was a game changer for me! Thank you for your comment, Janna.